I love this foil paper! I used square dies in graduated sizes to cut out the gift and the opening for it in the outer layer of designer paper with the foil from underneath peeking through. Quick and easy peasy! 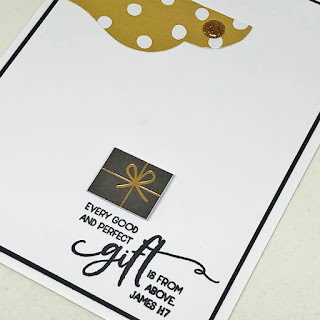 There must've been some residual Versamark on my sentiment stamp because when I stamped it onto the foil paper it lifted some of the foil. 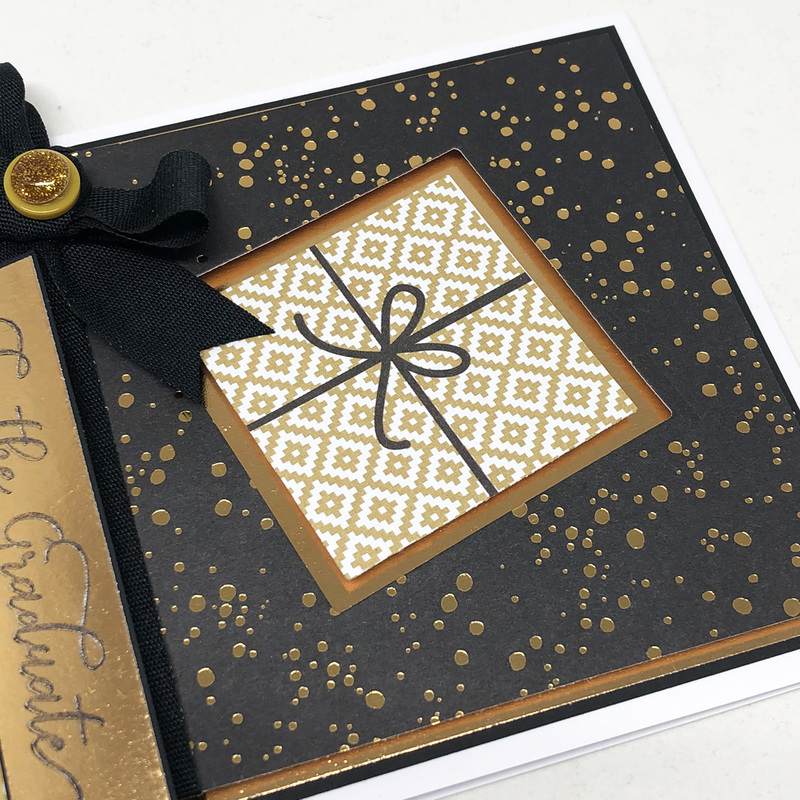 If it had been a bit juicier I would have straight-away embossed it with black embossing powder, but I decided to stamp it again with some black soot distress oxide ink which was more quickly within reach. The inside uses what's left of the punch-out scallop border with a fussy cut gift and a sentiment from Farmhouse Scriptural Quotes stamped with Memento ink. Hi Deb! I saw your card posted on SCS and had to stop in and say hi. I hope you're well! !